One-quarter of American adults has or experience a mental illness event each year. 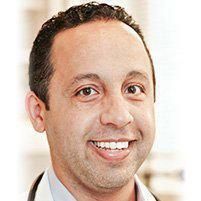 Dr. Eidgah provides care and treatment for most mental illnesses from his practice in the East Village. As a family medicine doctor serving New York City, he understands the need for mental illness care. Cases range from mild to life-threatening. Dr. Eidgah sees patients from around the surrounding area including Union Square and Downtown New York. What Types of Mental Health Issues Does Dr. Eidgah Treat? The most common cases that he treats include insomnia, anxiety, depression, and ADD. He screens for more severe disorders such as post-traumatic stress disorder, and schizophrenia. Patients of Dr. Eidgah who need specialized treatment are referred to either an inpatient program or to a specialist who can help them bring their mental condition under control. Dr. Eidgah remains their primary care doctor and oversees their entire care in consultation with their specialist. Is Dr. Eidgah Accepting New Patients With Mental Illness Histories? Absolutely. Care for mental illness is not something that Dr. Eidgah is squeamish about handling. People who need a primary care physician and who have a mental illness are welcome. If you are an existing patient and think you may suffer from a mental condition, then talk with Dr. Eidgah about your concerns. He has a lot of knowledge and experience, and he knows some of the best specialists in New York City. If you need a new primary care physician, and you think you have a mental condition, then you too are welcome. If you have an existing illness and need a primary care physician, then Dr. Eidgah welcomes you. Does Dr. Eidgah Offer Holistic Treatment for Mental Illness? Yes and no. Treatment of mental health is dictated by the type of condition and how well it is controlled. For those reasons, treatment plans are determined by your current mental condition. If you have a well-managed condition or your current treatment is not working, then talk with Dr. Eidgah about possible treatments, including holistic methods. Overall, he is very open to holistic treatments. Does Dr. Eidgah Offer Crisis Intervention? Crisis intervention is best handled by a specialist and on a case-by-case basis. To a certain degree, Dr. Eidgah involves himself in crisis intervention or as part of a team of professionals who handle crisis cases.